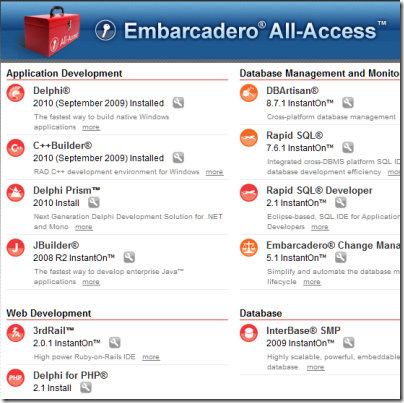 Embarcadero All-access: a better way to deploy developer tools? Once downloaded, I have to pass a license screen and enter a serial number. Presuming you have a current subscription, you can get a serial number by logging on to you Embarcadero account and requesting it there, where it is supplied instantly. This part of the process is similar to that used by Microsoft for MSDN subscriptions. It is a shame it is not built into the All Access desktop client, but a minor inconvenience. No further setup, no install options, or any of the other complications that often accompany installing developer tools. To be fair, I can think of other development tools that are pretty much download and run. Eclipse is usually good in this respect, at least until you try to get updates. Further, even with All Access there can be additional steps. Instant-on 3rd Rail, for example, does not install a Ruby runtime, so it is not really click and run: the Eclipse-based IDE runs, but you cannot start a project without getting a Ruby interpreter from somewhere. Aimed at simplifying deployment, enabling side-by-side versioning of products, and breaking down the barriers to use, InstantOn is also great in locked-down desktop environments, since the product does not affect any system files or system registry settings. Alongside the technical aspects, All-Access simplifies license management for a development team. You can install the server piece on your own network for full control. This comes at a price of course. 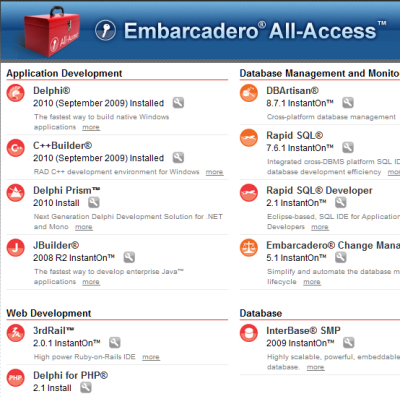 There are four subscription levels, from Bronze to Platinum, though even the Bronze gives you use of a wide range of tools including Delphi, C++ Builder, JBuilder, Rapid SQL, some parts of ER/Studio, 3rdRail and Delphi for PHP. Example price from Grey Matter in the UK starts at £3188.57 for a 1-year Bronze concurrent license. The interesting question: when can this be made into a generic tool that developers can use for deploying their own applications? PS3 Firmware 3.21 will be available this Thursday. It will disable the “Install Other OS” feature that was available on the PS3 systems prior to the current slimmer models, launched in September 2009. This feature enabled users to install an operating system, but due to security concerns, we’re now removing this feature. Panther suggests not upgrading the firmware as a workaround, but observes that this will block access to the PlayStation Network. It is a move that will matter little to most PS3 owners, but a great deal to the few who were doing interesting work with the cell processor that runs Sony’s games console. The wider picture is that we are seeing a rise in locked-down devices across the industry. Games consoles are generally like this – the Xbox 360 is the same – as are most mobile phones. Apple is now extending the iPhone model, where users have limited access to the device, to the larger iPad. As I understand it, Google intends that ChromeOS devices will also be locked down, though it is too early to say whether installing alternative operating systems on these will be possible. Sony mentions security, and certainly having a protected operating system that can only be updated by the vendor is an excellent security feature. The downside is that it gives greater power to the vendor, to control what you can do with the device, stifle creativity, and potentially to charge more for applications and extensions than is possible with an open system. There is a good explanation of how this works in Daniel Lyons’ recent piece on the Apple iPad. I recall seeing conversations on Twitter about whether it is worth going to conferences, especially vendor-led ones such as Microsoft’s Mix10 which took place earlier this month. It’s expensive, it’s marketing, and many of the sessions are available for free online soon after they take place. As for the content, the name that comes up most often is Bill Buxton, the design expert who joined Microsoft specifically to introduce greater design-consciousness into a company whose track record in this respect is poor. 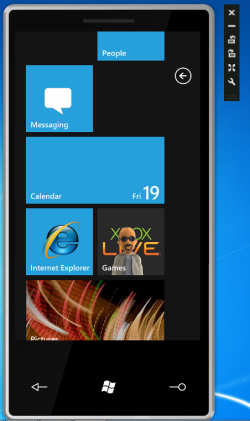 It was a fascinating appointment, and I believe you can see traces of his work in Windows 7 and much more in Windows Phone 7. I talked to Buxton briefly about this and wrote it up here. When I say “his work”, I don’t mean hands-on screen designs, rather a different approach to product development. Buxton apparently made a considerable impression at Mix10. His session An hour with Bill Buxton (the link has the video) is also one that is interactive, and worth watching if you have an interest in where design fits into the development process. The fact that Microsoft-platform developers are engaging with his ideas is encouraging, given the usability issues that spoil so many Windows applications and machines. 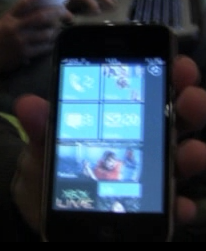 One final point: an attendee says IronRuby was shown running on Windows Phone 7 in one of the sessions, something I was told elsewhere was not possible. Lots of Adobe news this week. 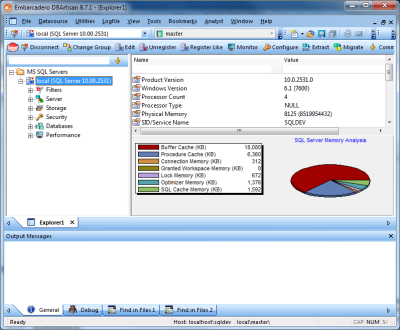 First, the release of Flash Builder 4. It seems a long time ago that I was looking at the first preview of code-name Gumbo; it’s good to see this finally released. Since it is Eclipse-based, it looks similar to to Flex Builder 3.0; but under the covers there is the new Flex 4 SDK with the Spark component architecture. The design tools have been revamped, and a time-saving feature is that you can now generate an event handler with one click. Flash Builder 4 also has built-in unit testing with FlexUnit, which is a big deal for those enlightened folk who do test-driven development. Adobe has also worked hard on database connectivity. 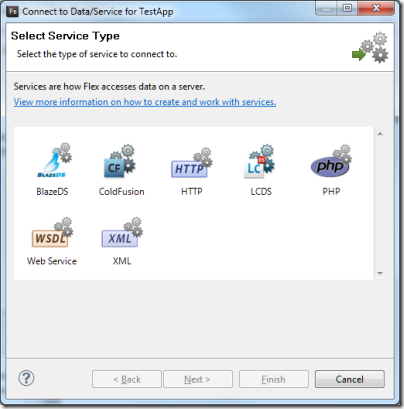 Flash Builder 4 will generate wrapper code for a variety of data sources, including HTTP and REST, PHP, SOAP, and Adobe’s LiveCycle Data Services middleware. There is a new data/services panel that shows all the available sources, with drag-and-drop data binding, batch updates, and other handy features. There are a few downsides to Flash Builder 4. ActionScript feels dated if you have been playing with something like C# 4.0, soon to be released as part of Microsoft’s Visual Studio 2010. I’ve also heard complaints that equivalent projects built with Flex are larger than equivalents built with the Flash IDE. The naming is puzzling; we now have to distinguish between the Flash IDE and the Flash Builder IDE, which are completely different products, but the SDK for code-centric development is still called Flex. There is no support yet for AIR 2.0, the latest version of the desktop runtime; nor for the much-hyped iPhone app development. Patience is called for, I guess. 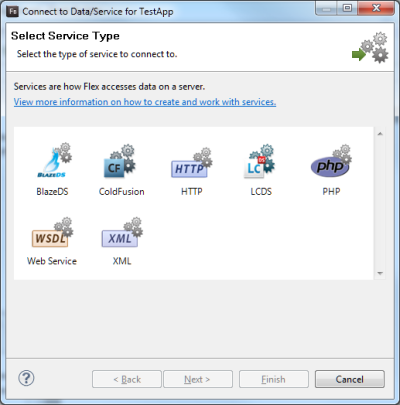 More information on Flex and Flash Builder here. The next big product launch from Adobe will be Creative Suite 5, for which a launch date of Monday, 12th April has been announced. You can sign up for an online launch event and see some sneak peek videos here. Finally, Adobe released quarterly financial figures today. The company says they are strong results; revenue is 9.1% higher than last year and GAAP earnings are positive (unlike the last quarter). However, looking at the investor datasheet [PDF] I noticed that new analytics acquisition Omniture now accounts for 10% of revenue; if you deduct that from the increase it does not look so good. Still, a profit is a profit, and the quarter before a major update to CS 5.0 may be under par as users wait for the new release, so overall it does not look too bad. The Q1 Earnings Call is worth looking at if only for its nice indexing; I wish all online videos worked like this. One questioner asked about HTML 5 – “how quickly can you provide support when it comes”? An intriguing question. I suspect it reflects more on the publicity around Flash vs HTML than on the progress of the HTML 5 standard itself, which is coming in fits and starts. “The reality is that it’s a fragmented standard, but we will continue to support it”, was the answer from CEO Shantanu Narayen, though he added a plug for the “benefits of our runtime, which is Flash”. … we will unleash data and content to the community to turn into applications that meet genuine needs. This does not require large-scale government IT Infrastructure; the ‘open source’ technology that will make it happen is freely available. All that is required is the will and willingness of the centre to give up control. A naïve statement: “IT Infrastructure” normally refers to hardware as well as software. Hardware is not “freely available”; and even in cases where free open source software is used, the management and software development effort does not come for free either. The closest thing to free IT infrastructure is something like Google Apps, which is not open source, but subsidised by advertising alongside Google’s confidence that it can make money somehow if you commit to its platform. This is not the first time such platitudes have been made by the government. Over the past 12 months the office of the CIO has continually pointed to open source as the key to reducing capital expenditure on large public sector IT projects. We at Ingres work with public sector bodies daily and have not seen the enforcement of these policies at a practical level and so view this announcement cautiously. Right now there is a very large negotiation underway to renew Oracle’s contract with the MOD which in theory should be put to competitive tender but sadly is being conducted behind closed doors. We therefore urge the government to enforce the ideas put forward today: Put steps in place to open up the public sector IT procurement process, run tenders in public and put penalties in place for those bodies that fail to assess open source software. Ingres has a direct commercial interest in this, of course, so such statements are not surprising. Shine has a point though. It takes more than a few speeches to change the software culture of the myriad departments and other state-run entities that between them compose government IT. So that didn’t take long. 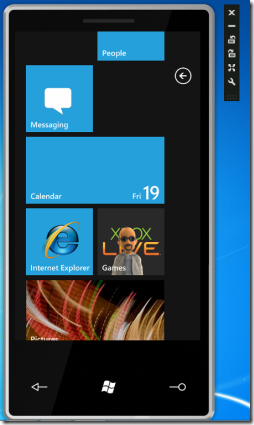 Microsoft has made a Windows Phone 7 emulator available to all, explaining that it is a virtual machine running the real device OS. While it works fine for debugging applications, most of the phone UI is mysteriously absent, the exception being Internet Explorer (needed for testing web applications). However, Dan Ardelean has done some nifty work with the emulator image, discovering that a lot more of the UI is present and can be exposed if you make a few modifications. He posted his modified ROM but has since removed it because of copyright concerns. I doubt it will be hard to find. Applications available in the hacked emulator include Mobile Office with Word, Excel, PowerPoint, OneNote and Sharepoint Workspace (undermining Microsoft’s claim that this is only a consumer device), games including a version of Times Reader – full circle for this one, which started out in WPF, moved to Silverlight for Mac, deserted and went to Adobe Flash, and may now reappear in Silverlight – and music/video via a Zune section. My tip to Microsoft: if you don’t want these things to leak, best not put them in the publicly-available image. Ardelean has also figured out how to amend the native C# port of SQLite, satisfying demand for a local SQL database engine. 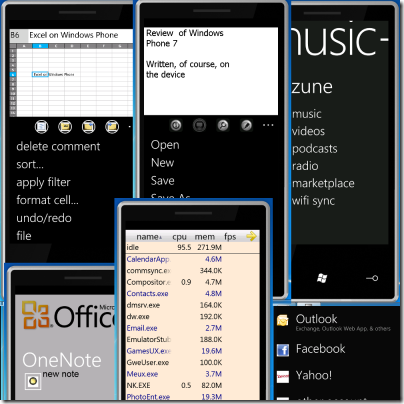 SQL Server Compact Edition is actually present in Windows Phone 7, but not available to custom applications. Last night at the Microsoft Mix party in Las Vegas I happened across Michael Lehman, a senior architect, who told me he had been working for the last six years on a Visual Studio add-on called Feature Builder. This turns out to be the evolution of the very same project which Microsoft’s Jack Greenfield told me about back in March 2007, at an architecture conference in the UK, though back then it had a more exalted status (in Greenfield’s eyes at least) – he described it as a platform rather than merely an add-on. Now Feature Builder is to appear as an extension in the Visual Studio 2010 Gallery, only discoverable by those who seek it out. If enough developers find it and like it, it may end up as part of a future Visual Studio release. The UML is a collection of useful abstractions. Unfortunately it’s been peddled as a universal modelling language, but the U never stood for Universal. We subscribe to Michael Jackson, author of Problem Frames, who says that there is no such thing as a universal solution. It’s a childish approach. This is where the Universal Modelling Language marketing pitch fails. UML was never properly extensible. It also has the problem that it was designed by a committee. So what do we have actually shipping with Visual Studio 2010? Standard UML modelling, the best Microsoft has yet come up with. Reading between the lines, this likely means that the UML faction within Microsoft outvoted the non-UML faction. However, each release of Visual Studio seems to have its own unique approach to modelling and architecture tools, so it would be no great surprise if Visual Studio 2012, say, replaced them with something different. As for Feature Builder, it does sound interesting – read the Greenfield interview referenced above for why it has potential. Lehman says it is a simpler approach than previous software factory tools from Microsoft, and named Feature Builder to avoid association with past efforts. Update: Lehman has blogged about the project here, and you can download the preview here. I’m at Mix10 in Las Vegas where Microsoft has been showing off the latest preview of IE9 – you can try it here, provided you have Vista SP2, Windows 2008 or Windows 7. During the keynote, we saw IE9 playing a video using the HTML 5 video tag – no Flash or Silverlight needed. 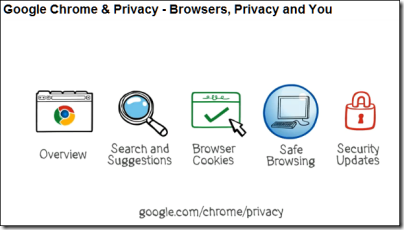 Microsoft also showed that in this instance IE9 performed better than Chrome thanks to better hardware acceleration. Although one should always mistrust one vendor’s demonstration of another vendor’s product, it should not be surprising that Microsoft is able to deliver a browser that is better optimised for Windows. The plug-in approach has advantages. 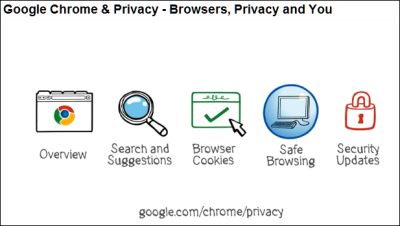 It offers consistency across browsers, and enables rapid evolution without the hassles of standards committees. The multimedia features in Silverlight and Flash are well ahead of those in HTML 5 – Holzschlag nailed this when she described today’s HTML 5 demos as reminiscent of Flash demos a decade ago. The question though: can Microsoft do an equally good job of supporting HTML 5 throughout its platform, as it will do with Silverlight? This is where I’m doubtful. The Visual Studio and Expression tools will continue to drive developers towards Silverlight rather than HTML 5. 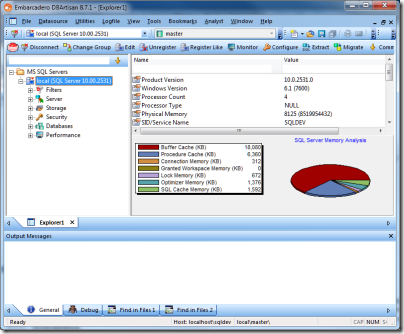 It’s notable that shortly after Microsoft’s IE9 demos at Mix, we saw demos of fun technology like code-name Houston, develop databases in the cloud using just your browser and … Silverlight.